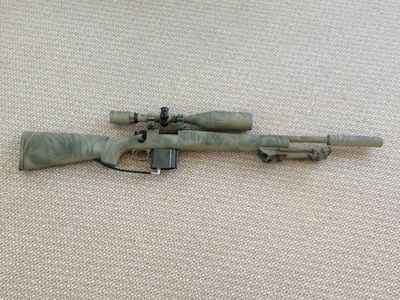 WELL Airsoft Sniper Rifles: Are They Worth Getting? As its name suggests, the M700’s metal construction is a major selling point in terms of durability. This means shot after shot will be propelled without a hitch. Most plastic components degrade after use, but its metal internals will stand the test of time. The bolt is known for its light pull-weight, cutting down on fatigue and reload time. If you rest your gun against objects often or hit it accidentally, the metal barrel will hold up. A polymer stock counterbalances the weight of other components, keeping the rifle maneuverable. This stock is textured to improve grip and it’s easy to secure while moving. The gun’s bolt pull is made to simulate that of a real rifle. However, don’t get too addicted to reloading. The M700’s magazine capacity is a paltry 11 shots, making extra mags and speed loaders essential tagalongs. The rifle includes iron sights to make close targeting easier. For users who prefer to go scope-less, this adjustable sight will come in handy. Players can also remove this iron sight if needed. The KJW M700 is gas powered, foregoing traditional springs in favor of green gas, red gas, or propane. Speaking to that gas functionality, this rifle propels rounds rapidly. Though a mid-range weapon, the M700 fires rounds with top-tier velocity. Just make sure to keep new magazines and gas refills handy. 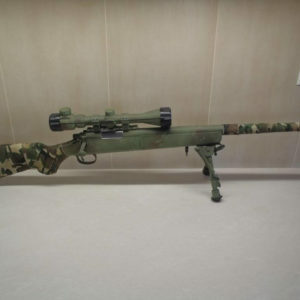 In some conditions, the M700 is known for using an above-average quantity of gas per shot. FPS will also drop as you continue to shoot. Luckily, though, this gas system is very reliable. Shooting is a breeze. KJW has included a full-length inner barrel due to the nature of its gas mechanism. Theoretically, this increases both velocity and accuracy. While the former is true, snipers may consider upgrading to a tighter-bore barrel to achieve ultimate accuracy.